As a condition of your use of the Website, you warrant to the Company that you will not use the Website or any of the resources available for download from the Website for any purpose that is unlawful or prohibited by these Terms. You may not use the Website or any of the resources available for download from the Website in any manner that could damage, disable, overburden, or impair the Website or interfere with any other party's use and enjoyment of the Website. You may not obtain or attempt to obtain any materials or information through any means not intentionally made available or provided for through the Website. The information contained on this Website and the resources available for download through this Website are for educational and informational purposes only. The information contained on this Website and the resources available for download through this Website is not intended as, and shall not be understood or construed as legal, financial, tax, medical, health, or any other professional advice. The Website may contain bulletin board services, chat areas, news groups, forums, communities, personal web pages, calendars, blog comment sections and/or other message or communication facilities designed to enable you to communicate with the public at large or with a group (collectively, "Communication Services"), you agree to use the Communication Services only to post, send and receive messages and material that are proper and related to the particular Communication Service. The Company does not claim ownership of the materials you provide to the Website (including feedback and suggestions) or post, upload, input or submit to any Website or our associated services (collectively "Submissions"). However, by posting, uploading, inputting, providing, or submitting your Submission you are granting the Company, our affiliated companies, and necessary sub-licensees permission to use your Submission in connection with the operation of their Internet businesses including, without limitation, the rights to: copy, distribute, transmit, publicly display, publicly perform, reproduce, edit, translate, and reformat your Submission; and to publish your name in connection with your Submission. The Website may contain links to other Websites ("Linked Websites"). The Linked Websites are not under the control of the Company and the Company is not responsible for the contents of any Linked Website, including without limitation any link contained in a Linked Website, or any changes or updates to a Linked Website. The Company is providing these links to you only as a convenience, and the inclusion of any link does not imply endorsement by the Company of the Website or any association with its operators. Certain services made available via the Website are delivered by third-party Websites and organizations. By using any product, service, or functionality originating from the Website, you hereby acknowledge and consent that the Company may share such information and data with any third party with whom the Company has a contractual relationship to provide the requested product, service or functionality on behalf of the Website's users and customers. The Company from time-to-time provides various courses, programs, and associated material for sale on this Website. The Company grants you a limited, personal, non-exclusive, non-transferable license to use our courses, programs, and associated material (collectively the "Courses") for your own personal or internal business use. Except as otherwise provided, you acknowledge and agree that you have no right to modify, edit, copy, reproduce, create derivative works of, reverse engineer, alter, enhance or in any way exploit any of the Courses in any manner. With respect to any purchase, you must request your money back within 7 days of the purchase. You may request your money back by emailing [email protected] That email must contain information about the product you purchased, the date of the purchase, and the email and name associated with any such purchase. To the maximum extent permitted by applicable law, in no event shall the company and/or its suppliers be liable for any direct, indirect, punitive, incidental, special, consequential damages or any damages whatsoever including, without limitation, damages for loss of use, data or profits, arising out of or in any way connected with the use or performance of the website, with the delay or inability to use the website or related services, the provision of or failure to provide services, or for any information, software, products, services and related graphics obtained through the website, or otherwise arising out of the use of the website, whether based on contract, tort, negligence, strict liability or otherwise, even if the company or any of its suppliers has been advised of the possibility of damages. Because some jurisdictions do not allow the exclusion or limitation of liability for consequential or incidental damages, the above limitation may not apply to you. if you are dissatisfied with any portion of the website, your sole and exclusive remedy is to discontinue using the website. You hereby expressly waive any and all claims you may have, now or in the future, arising out of or relating to this Website, the Company, any and all contracts you enter into with the Company, and any and all of the Company's products and services. The Service is controlled, operated and administered by the Company from our offices within the EU. If you access the Service from a location outside the EU, you are responsible for compliance with all local laws. You agree that you will not use the Company Content accessed through the Website in any country or in any manner prohibited by any applicable laws, restrictions or regulations. You agree to indemnify, defend, and hold harmless the Company, its officers, directors, employees, agents and third parties, for any losses, costs, liabilities and expenses (including reasonable attorneys' fees) relating to or arising out of your use of or inability to use the Website or services, any user postings made by you, your violation of any terms of this Agreement or your violation of any rights of a third party, or your violation of any applicable laws, rules or regulations. The Company reserves the right, at its own cost, to assume the exclusive defense and control of any matter otherwise subject to indemnification by you, in which event you will fully cooperate with the Company in asserting any available defenses. You agree that no joint venture, partnership, employment, or agency relationship exists between you and the Company as a result of this agreement or use of the Website. The Company's performance of this agreement is subject to existing laws and legal process, and nothing contained in this agreement is in derogation of the Company's right to comply with governmental, court, and law enforcement requests or requirements relating to your use of the Website or information provided to or gathered by the Company with respect to such use. If any part of this agreement is determined to be invalid or unenforceable pursuant to applicable law including, but not limited to, the warranty disclaimers and liability limitations set forth above, then the invalid or unenforceable provision will be deemed superseded by a valid, enforceable provision that most closely matches the intent of the original provision and the remainder of the agreement shall continue in effect. The Humming Company London Ltd.
© All Right Reserved.  Fit-Faces Ltd.